You are welcome to use our fully integrated Design Department to design to your specific requirements. 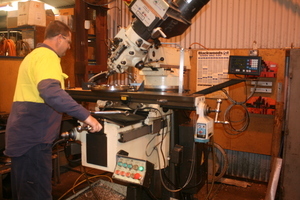 Millers design and manufacturing comply with all relevant AS/NZ standards, unless another standard or code is specified. We all so work to ASME and API 650. 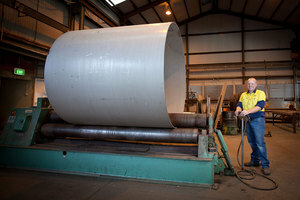 Miller's also design and manufacture Pressure Vessels and Boilers to AS1210. Our drafting team collectively has over 50 years' experience within our business and specific to our expertise. 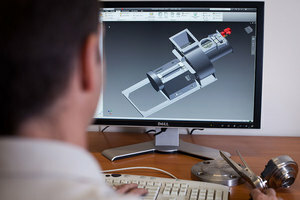 They are fully conversant with Autocad, Inventor and Solidworks CAD Software. We employ a full time welding supervisor, certified to AS1796 and AS2214. We fabricate components ranging in size from small stainless steel items to large bins and tanks. 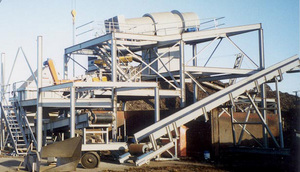 We work with stainless steel, carbon steel, aluminium and duplex stainless steel. To complement our fabrication shop we have a machining and fitting shop. To complete our full range of service options we are a Registered Electrical Contractor and employ a team of electricians. This enables us to handle both the mechanical and electrical aspects of your projects. 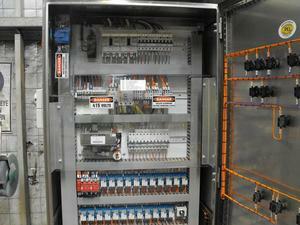 Our capabilities include switchboard building, control systems, PLC systems, industrial wiring and plant maintenance. We also offer a testing and tagging service. 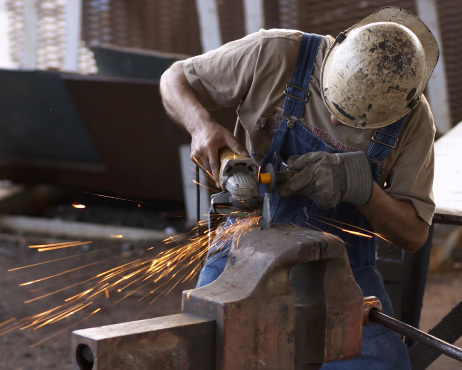 To complete the suite of services offered by Millers, we have a highly skilled group of tradespeople who have many years experience in steel erection and installation of equipment including bins, silos, conveying systems, stairs, platforms and any ancillary equipment. We work to the highest OH&S standards, and hold of all relevant tickets and licences. Job Safety Analysis (JSA) is prepared and provided prior to any site work. Additionally we ensure all personnel on site are fully Inducted to the individual site conditions.